Sepasoft™ provides a modular approach to building Enterprise-Class MES solutions using our OEE, Track & Trace, SPC, and Recipe & Changeover Modules. The result is a custom solution tailored for your manufacturing needs that integrates nicely with your ERP, Inventory Management, and Asset Management Systems. 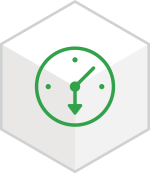 Our redesigned OEE|Downtime allows you to discover and unlock newfound knowledge to drive continuous improvement in your production environment. Sepasoft MES is powered using Ignition® by Inductive Automation, the powerful HMI and SCADA platform providing cross-platform compatibility, unlimited free clients, robust out-of-the-box SQL database support, and fast installation. Our modules are built on the Ignition® software stack, extending the standard functionality and allowing for a rich and powerful way to customize the implementation to deliver virtually anything required for your MES solution. OEE, Downtime Tracking, and Production Scheduling…combined. The OEE Module provides Scheduling, Run Control, Real-Time Status, and Production Tracking, along with OEE calculations to give manufacturers and operations managers a robust software package for planning and automating the measurement of operational efficiency, in order to help drive continuous improvement initiatives. Click here to learn more about OEE Downtime Tracking. Track Products from raw materials to finished goods and add production control to your manufacturing base with this paperless and fully integrated solution. Our Track & Trace Module allows you to control your production process, track finished goods from their raw materials through the manufacturing process, and easily access genealogy data. It provides a centralized operator interface for all MES information, pulling production information together from various sources such as OEE, SPC, Recipe, process historians, and more. Click here to learn more about Track & Trace. Realize your quality program goals by implementing the powerful features of the SPC Module. Ensure that statistical process control (SPC) data is accurately collected on time, every time, and deliver your SPC data in real-time to the right people in a comprehensive format using the flexible control charts and analysis tools. Click here to learn more about SPC. Extend your Ignition® Platform to expertly build, manage, and monitor recipes with the Recipe & Changeover Module. Our Recipe & Changeover Module manages and monitors recipes, and is ideal for quickly and accurately changing machine settings or processing recipes. Powerful master recipe and sub-recipe management, recipe security changelog tracking, variance tracking, and more empower you to take more control of your manufacturing process. Click here to learn more about Recipe & Changeover. Try our Sepasoft Learning Courses! Available for the Sepasoft MES Suite, these courses take you from installation and configuration of our modules to implementation. Watch training videos, create sample projects, learn scripting methods, and take quizzes to gain a mastery of our Sepasoft MES Suite. Click here to visit our learning courses.